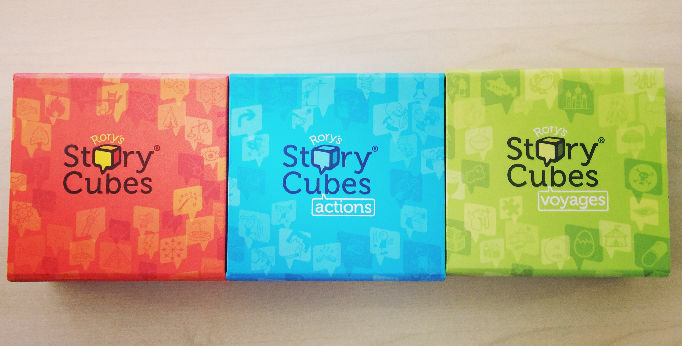 Story Cubes is a nice visual story generator that sparks the imagination of a group. It’s a non-competitive game that can help you to warm-up your next training or workshop. The quickest & easiest way to learn something is using activities. I’ve experienced that Playing in the beginning of a training or coaching session makes people happy and more open for the upcoming topics. Another advantage I saw was that participants opened their mind and were much more creative along the entire day of the workshop. In order to encourage participants I used Story Cubes in the beginning and after the lunch break as a “wake-up” activity. 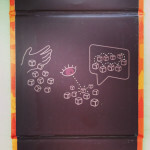 In your training or workshop you could divide the participants into small groups of 3-5 persons. Give them the instruction to start by rolling the cubes out. Once the cubes are on the table they see the face-up image of each cube. Now they start playing by telling a story that links together all 9 images. As the brain thinks in pictures people will get better and better with the time. Tell them to run several rounds. The more they play the easier it will be to tell longer and more developed stories. They cannot do anything wrong, the goal is to let the images spark their imagination. When they are more experienced ask them to tell a story without using the words of the images. Save your stories: Continue the story with each new roll. Try to connect to the previous story and check how long you can keep the story going. 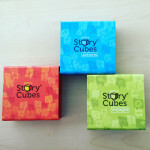 One after the other: When rolling out the cubes, start telling a story only to the first image. Then the next player continues with your story by adding new content. Continue until every player added his content. 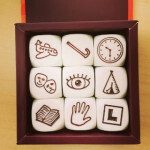 All over the world people are inventing new ways to play with Story Cubes. I would love to get your feedback or ideas. Make this article more useful for the community and share your ideas in the comments below!